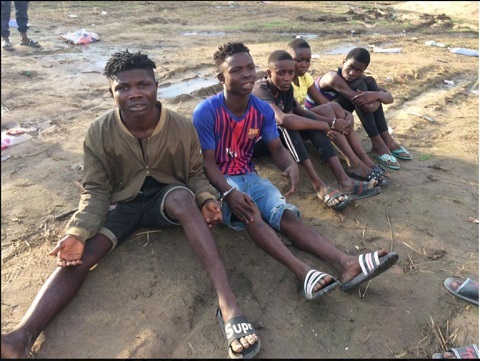 A group of young robbers said to be terrorising residents of Sapele, Delta state, have been arrested. It was gathered that the young boys rented an apartment in Gana area of Sapele before the girls whom one of them is dating started living with them along with her friends. The teenagers who operate at night, specialise in burgling resident’s shops after mastering how to open keys with knife. They were nabbed after breaking into a cassette store and were about to rob. The teenagers were placed in handcuffs as deliberations were made as to what to do to them, whether they should be taken to the police station.